If you like hiking or camping or hunting, you probably think you’d be pretty good at wilderness survival. But that isn’t necessarily true. Those activities are temporary and usually involve lots of gear and food. Being lost in the wilderness for days with few or no supplies is a completely different experience. 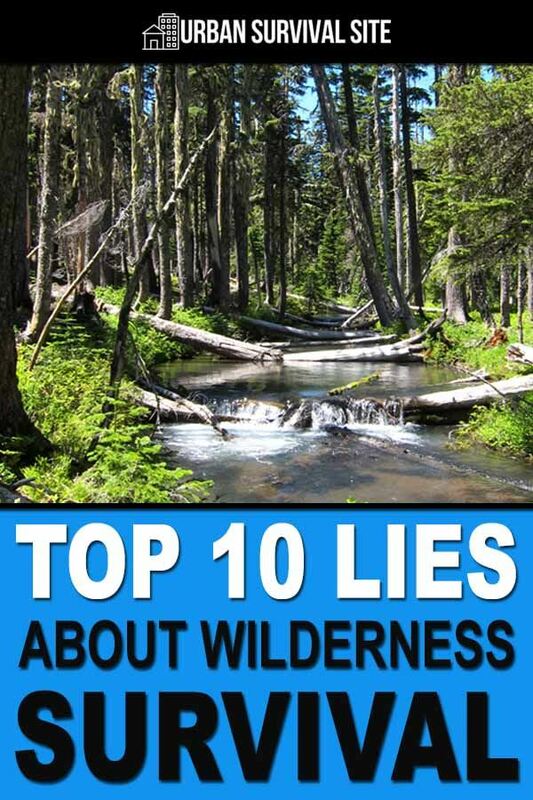 The idea that outdoorsy people are automatically good at surviving in the wilderness is just one of ten common lies pointed out in this video by EverydayTacticalVids. There’s a common theme running through most of these lies: As long as you have the right gear, you’ll be able to survive in the woods. In reality, you also need to have plenty of knowledge, skills, experience, and determination. Keeping yourself alive while separated from civilization is far more difficult than it looks on TV. 10. If you like hiking or camping or hunting, you’ll be good at wilderness survival. 9. If you have a knife, you’re ready to survive in the wilderness. 8. If you have a survival kit, you’re ready to survive in the wilderness. 7. If you can find a pond or stream or river, you’ll be able to catch fish. 6. If you have a fishing kit, you can count on having fish for dinner. 5. If you have a FireSteel, you’ll be able to build a fire. 4. The biggest threat to your life is large predators like cougars and bears. 3. If you’re in trouble, you’ll just do whatever you have to do. 2. You can make it two or three days without water. 1. If you have the right gear or knowledge or skills, you’ll survive. Watch the video below to hear him explain why these are lies and what the truth is. I can’t believe you would publish such simplistic drivel. You are showing a complete lack of respect for your readers. Please bring your standards back where they should be and we will all benefit from it. Sorry, but a lot of our readers are beginners, so some of the posts are going to be pretty basic. So Woodchuck, why don’t you write an article explaining how to build a makeshift GPS and water purifier out of three paper clips, a roll of duct tape, an old shoelace and three dimes.